Business and Commercial Services (BCS) facilitates the use of State Documents in Foreign Countries. Many transactions in foreign countries involve documents prepared in the US or issued by state governmental agencies. Whether the transaction involves setting up an import business or adopting a baby, selling products overseas or studying abroad, foreign governments must rely on information provided on documents issued and recorded by states, cities and counties that are unfamiliar to them. To facilitate the acceptance of these documents they must be authenticated or certified in some way. The Arkansas Secretary of State provides this service. Apostille and authentication certificates can be added to documents to verify their authenticity and add to their validity as legal documents. 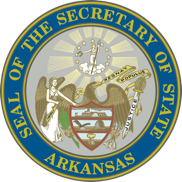 For more information about Apostille/Certification for elected officials please contact our Elections Department at 501-682-5070 or BCS at 501‐682‐3409.